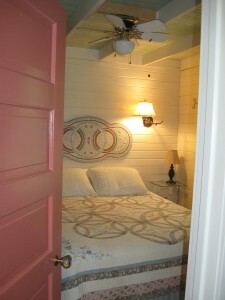 Welcome to Parkers’ Crossing Cabin website. 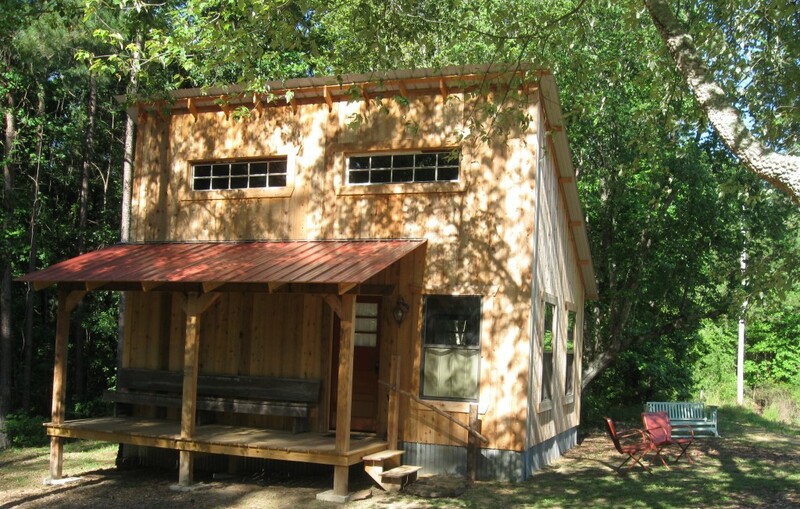 This neat little, custom built, cottage-style cabin is nestled in the piney woods of east Texas, off the beaten path and just right for quiet getaways or small family gatherings. 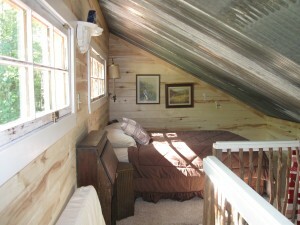 It has two queen-size beds, one in a private bedroom and the other in an open loft. 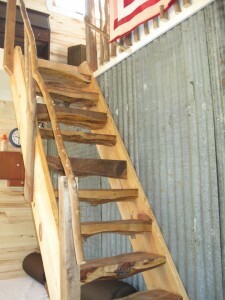 The design is especially unique with native, crepe myrtle handrails, eastern cedar stair treads, and a wonderful, corrugated tin shower. If you are interested, please call us at 903-639-1318 for more details. Oh, by the way, the cabin rents for $165 dollars per night Monday through Sunday (homestyle breakfast included) and sleeps up to 6 people, ‘long as some don’t mind stowaway mattresses. Our grandkids love ’em!